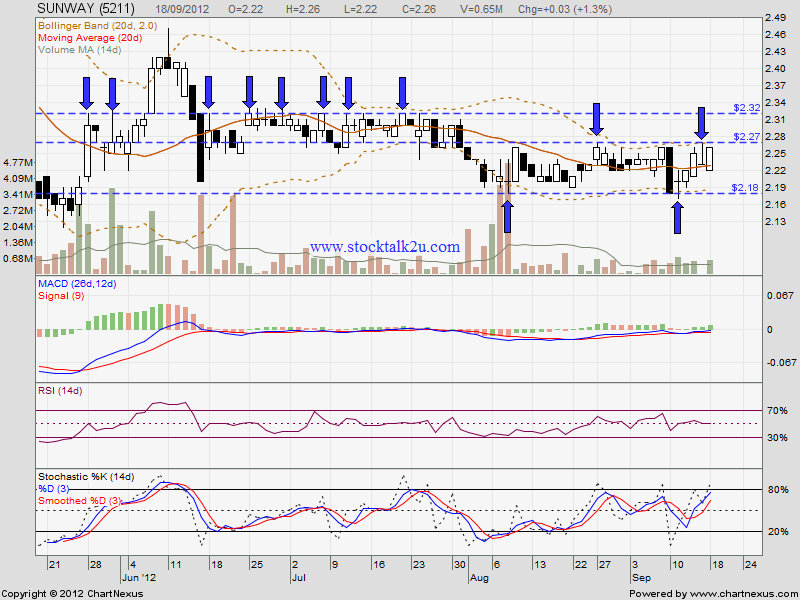 SUNWAY retest RM2.27 resistance level. Will it break through or keep consolidate? Immediate resistant would be MA50 / MA100 level, which is around RM2.27 level. 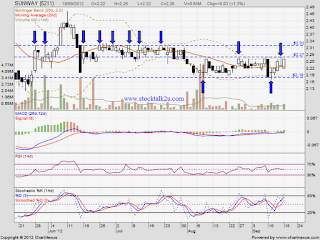 Immediate support would be RM2.18 level.